One of the disturbing things that I have found to characterise so much of the life of contemporary Christians is the tendency to rely on emotions above all else. The reliance of feelings instead of firm acts of the will based on the clear teachings of Scripture has resulted in a woefully substandard Christianity in so many circles today. Biblical Christianity has never emphasised a life of feelings, but a life of faith which is fully channelled by the Word of God and adherence to it. This has been basic Christianity for millennia, but today’s believers seem to have forgotten this altogether. Many of us have become sensuous Christians, living by our feelings rather than through our understanding of the Word of God. Sensuous Christians cannot be moved to service, prayer or study unless they “feel like it.” Their Christian life is only as effective as the intensity of present feelings. When they experience spiritual euphoria, they are a whirlwind of godly activity; when they are depressed, they are a spiritual incompetent. They constantly seek new and fresh spiritual experiences, and use them to determine the Word of God. Their “inner feelings” become the ultimate test of truth. Sensuous Christians go their merry way until they encounter the pain of life that is not so merry–and they fold. They usually end up embracing a kind of “relational theology” (a curse on modern Christianity) where personal relationships and experience take precedence over the Word of God. If the Scripture calls us to action that may jeopardize a personal relationship, then the Scripture must be compromised. The highest law of sensuous Christians is that bad feelings must be avoided at all cost. A W Tozer was one of God’s choice servants of last century to stir up the church and call it back to her true calling. He was relentless in calling for holiness, the cruciform life, and a life based on Godly choices, not emotional highs and lows. One of the puzzling questions likely to turn up sooner or later to vex the seeking Christian is how he can fulfill the scriptural command to love God with all his heart and his neighbor as himself. The earnest Christian, as he meditates on his sacred obligation to love God and mankind, may experience a sense of frustration gendered by the knowledge that he just cannot seem to work up any emotional thrill over his Lord or his brothers. He wants to, but he cannot. The delightful wells of feeling simply will not flow. Many honest persons have become discouraged by the absence of religious emotion and concluded that they are not really Christian after all. They conclude that they must have missed the way somewhere back there and their religion is little more than an empty profession. So for a while they belabor themselves for their coldness and finally settle into a state of dull discouragement, hardly knowing what to think. They do believe in God; they do indeed trust Christ as their Saviour, but the love they hoped to feel consistently eludes them. What is the trouble? The problem is not a light one. A real difficulty is involved, one which may be stated in the form of a question: How can I love by commandment? Of all the emotions of which the soul is capable, love is by far the freest, the most unreasoning, the one least likely to spring up at the call of duty or obligation, and surely the one that will not come at the command of another. No law has ever been passed that can compel one moral being to love another, for by the very nature of it love must be voluntary. No one can be coerced or frightened into loving anyone. Love just does not come that way. So what are we to do with our Lord’s command to love God and our neighbor? To find our way out of the shadows and into the cheerful sunlight we need only to know that there are two kinds of love: the love of feeling and the love of willing. The one lies in the emotions, the other in the will. Over the one we may have little control. It comes and goes, rises and falls, flares up and disappears as it chooses, and changes from hot to warm to cool and back to warm again very much as does the weather. Such love was not in the mind of Christ when He told His people to love God and each other. As well command a butterfly to light on our shoulder as to attempt to command this whimsical kind of affection to visit our hearts. God never intended that such a being as man should be the plaything of his feelings. The emotional life is a proper and noble part of the total personality, but it is, by its very nature, of secondary importance. Religion lies in the will, and so does righteousness. The only good that God recognizes is a willed good; the only valid holiness is a willed holiness. It should be a cheering thought that before God every man is what he wills to be. The first requirement in conversion is a rectified will. “If any man will,” says our Lord, and leaves it there. To meet the requirements of love toward God the soul need but will to love and the miracle begins to blossom like the budding of Aaron’s rod. The will is the automatic pilot that keeps the soul on course. “Flying is easy,” said a friend who flies his own plane. “Just take her up, point her in the direction you want her to go and set the pilot. After that she’ll fly herself.” While we must not press the figure too far, it is yet blessedly true that the will, not the feelings, determines moral direction. The root of all evil in human nature is the corruption of the will. The thoughts and intents of the heart are wrong and as a consequence the whole life is wrong. Repentance is primarily a change of moral purpose, a sudden and often violent reversal of the soul’s direction. The prodigal son took his first step upward from the pigsty when he said, “I will arise and go to my father.” As he had once willed to leave his father’s house, now he willed to return. His subsequent action proved his expressed purpose to be sincere. He did return. To love God with all our heart we must first of all will to do so. We should repent our lack of love and determine from this moment on to make God the object of our devotion. We should set our affections on things above and aim our hearts toward Christ and heavenly things. We should read the Scriptures devotionally every day and prayerfully obey them, always firmly willing to love God with all our heart and our neighbor as ourself. If we do these things we may be sure that we shall experience a wonderful change in our whole inward life. We shall soon find to our great delight that our feelings are becoming less erratic and are beginning to move in the direction of the “willed tendency of the heart.” Our emotions will become disciplined and directed. 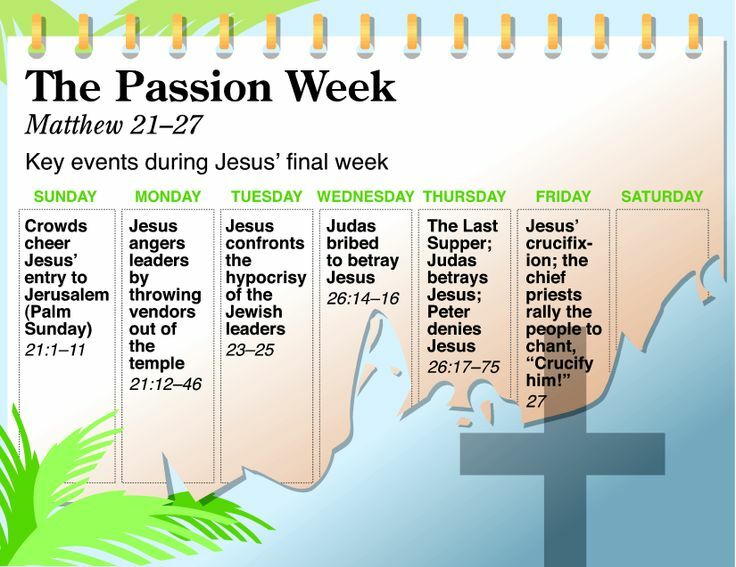 We shall begin to taste the “piercing sweetness” of the love of Christ. Our religious affection will begin to mount evenly on steady wings instead of flitting about idly without purpose or intelligent direction. The whole life, like a delicate instrument, will be tuned to sing the praises of Him who loved us and washed us from our sins in His own blood. But first of all we must will, for the will is master of the heart. Choosing to do what is right, instead of depending on how we happen to feel at a given moment, is how we are to live our Christian lives. But making hard choices, often against how we feel, is not easy to do, so far too many believers simply opt for what their mood is at the moment. This is unacceptable. The post Emotion, the Will, and the Spiritual Life appeared first on CultureWatch. This entry was posted in Christian Living on July 30, 2016 by Truth2Freedom. this is powerful and much needed.